A fun and unique costume idea for Australia Day, or any other Australia or animal themed costume parties! 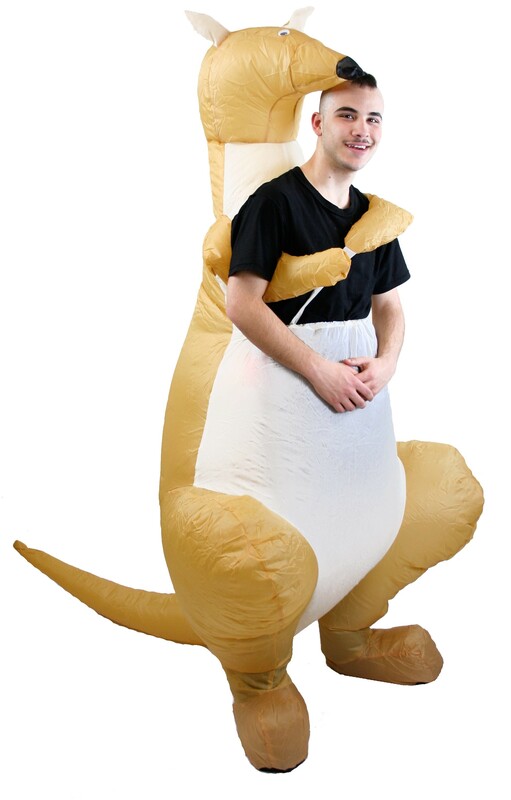 Inflates around you and looks like the kangaroo is holding you, as if you're the joey! Includes one inflatable pull on costume. Does not include batteries, shirt, or shoes.